Visual Selling® is a visual strategy consulting company focusing on live digital communication to increase productivity in customer dialog and win more customers. Our goal is to enable organizations to rethINK their communication approach in sales, marketing and leadership. 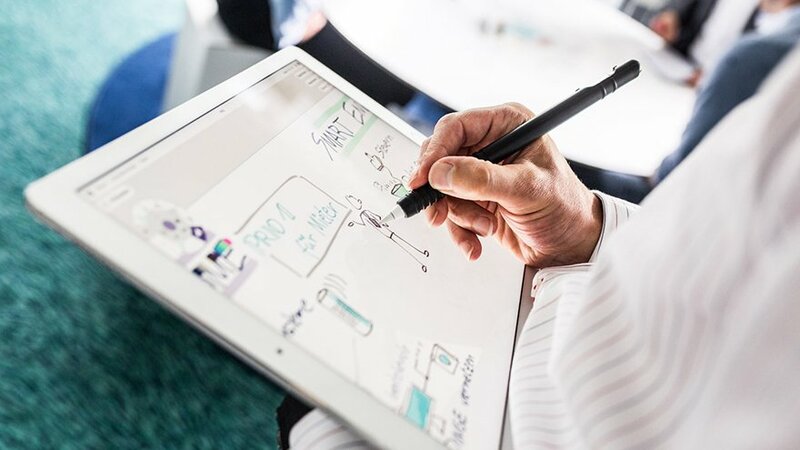 We work together to discover and visualize the root cause of strategic problems, co-create new ways to communicate clearly with customers, and implement visual communication and digital ink to boost company success. With the Visual Selling method, we build communication bridges between our salesforce and our customers. A study by EMPLAY shows we now sell 22% more individual solutions and have a shorter sales cycle of up to 30%. Our favorite app for visual communication is Concepts. The unlimited canvas provides room for every conversation. When thoughts take an unexpected turn or new contexts come up in a meeting, you can explore infinitely. Concepts' vector nature lets you adjust your ideas after you've drawn them. The conversation is in your control, and it becomes fun to visualize complex matters. Download Concepts and get the Quick Start Guide. In customer meetings, time is a critical factor. Concepts offers adjustable, vector objects you can drag straight onto your canvas to save valuable drawing time. Visual Selling designed a Visual Selling Discovery object library for Concepts. The pack features 70+ communication and goal-based images - called IdeaPix - to help you visualize strategies live. It also includes the free productivity canvas, the Visual Discovery Spiral. 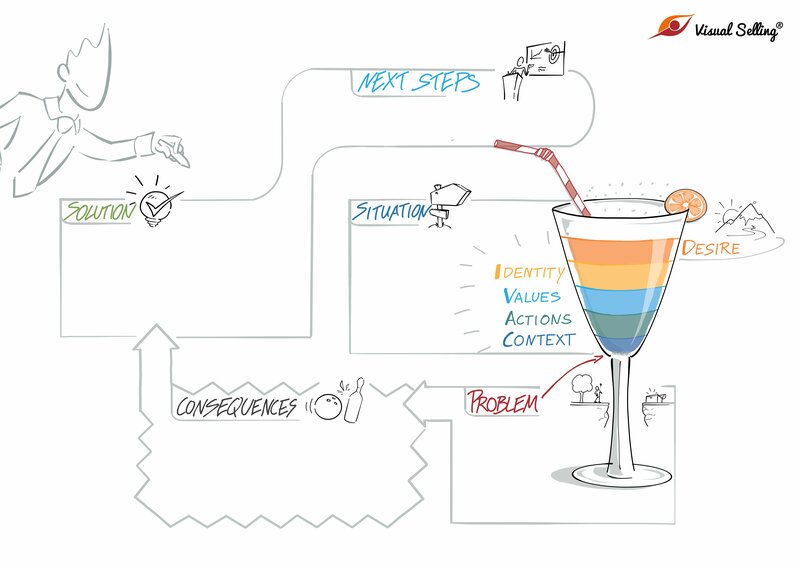 In combination with the Visual Selling Discovery Punch, this canvas helps you to identify a clear problem statement, increase customer understanding, and improve productivity by shortening the overall communication process. 1. Download Concepts. Make a free account to sync your objects between devices. 2. Open the Imports menu and tap "More". 3. Find the Visual Selling object pack in the Market. 4. You can redeem a credit for the pack, or subscribe for access to every object library. 5. Tap the pack to activate it. You will return to the canvas and find the objects displayed at the side of your screen. Scroll through to see them all. 6. Tap an object or drag it onto the canvas. Expand your fingers to make it bigger, pinch to make it smaller. The object's appearance is flexible and up to you. Tap to set it to the screen. For more on working with objects in Concepts, check out this Objects tutorial. 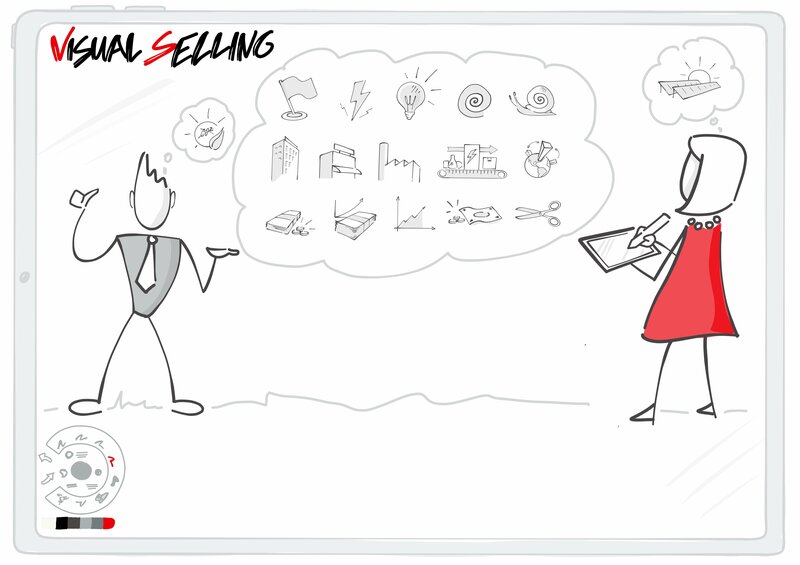 Visual Selling's new online training for sales employees is global, interactive, virtual, sustainable and visual. With our Virtual Live Classroom with Visual Selling and Concepts, we introduce a training ground with no additional travel expenses, where training periods are short, flexible, and accessible from anywhere in the world. This training encourages active involvement of participants who learn to engage in live visualizations and effective dialogues with customers.